Located among txakoli vineyards, with a beautiful façade with large windows offering spectacular views of Getaria lighthouse and the whole Basque coast, Iturregi brings its guests a space for peace and tranquillity amidst nature.The hotel interior seamlessly combines modern and classic styles. Outside, the building blends naturally into the surrounding picturesque scenery. 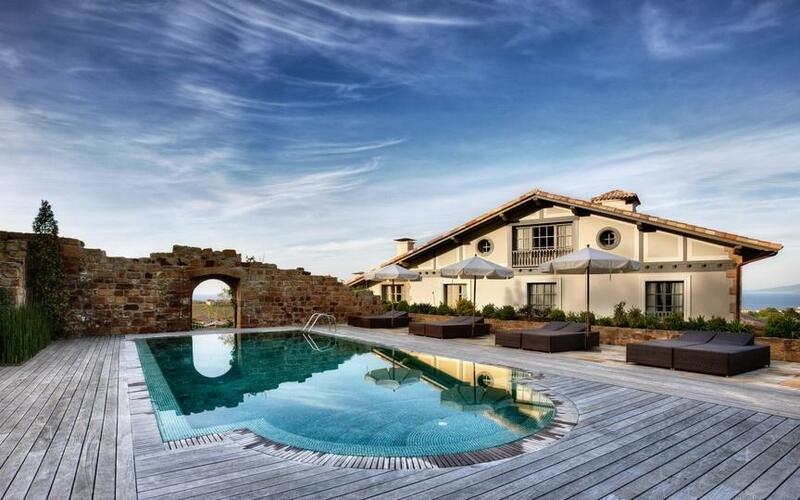 Our swimming pool, built over the ruins of the original Iturregi farmhouse, is the ideal place to relax.